The type of construction bid used depends upon the type of project. Small projects most often will require a lump-sum bid. Large scale municipal projects will look for a unit-cost bid. The owner and contractor must work together to discover the type of construction bid that will fit their needs. The type of project will help determine the type of construction bid. This contract allows the contractor to affix a price to the project that includes materials, labor, profit and overhead. Lump-sum bids sometimes are as simple as, "Remove and replace vinyl in kitchen, $2,000." The assumption of this bid is that the contractor will move out the furniture and refrigerator and replace the molding in addition to replacing the vinyl. These types of assumptions should be clarified prior to signing the contract. This type of contract can cause issues for the contractor and the owner if the project runs into complications. Any errors in the original project plans will cause the contractor to submit change orders. Change orders are considered amendments to the original bid and not part of the lump-sum cost. In this bid, the contractor designs the project and then builds it. The fee for this type of contract is similar to the lump-sum bid. 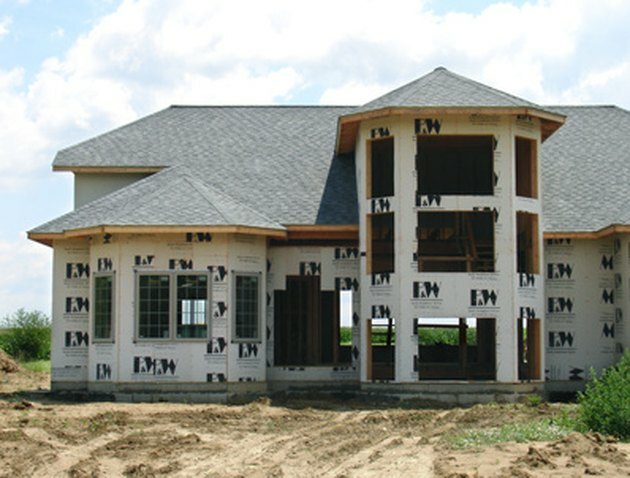 Design-build bids require that the owner produces a Request for Proposal. This document will outline what the owner needs from the project. This includes all project specifics, performance expectations and instructions. More commonly used is the design-bid-build contract. These contracts require the owner to obtain a design and then give this design to the contractor or multiple contractors for bidding. This type of bid has also been called a time-and-materials bid. The cost-plus-fee bid requires the owner to pay for actual costs of labor and materials. The contractor then adds a profit charge on top of these actual costs. This type of bid must be highly detailed. The exact costs of materials, including receipts are provided by the contractor to the owner. Often these types of contracts are open-ended. The downside to this arrangement is that owner might not have a firm grasp on the final cost of the project at the beginning. Clear definitions of what are considered reimbursable costs will keep overall costs in check. Before the project begins, the owner and contractor should agree to types of labor that will be covered as costs, including overhead costs associated with the contractor's business. This type of bid puts a cap on the costs incurred in a cost plus fee bid. The guaranteed maximum price bid favors the owner. If the project costs more than the projected maximum, the contractor must absorb the extra costs. This can motivate a contractor to work more efficiently. Unit-price bids are most commonly used for large civil projects, such as road building. In this type of bid, the owner provides the type of quantities of materials to be bid upon. The contractor then bids on a unit cost of these materials. As the project progresses, the amount of materials may change, but the contractor is obligated to the original bid per unit agreed upon. Julia Detering has written professionally since 1996. She published a Seattle guidebook and is publishing her first novel. Detering has a certificate in technical writing from Bellevue College and a certificate in fiction writing from the University of Washington. She holds a Bachelor of Arts in international relations from the University of Southern California.